Emily Moore was appointed Director of Troost ILead in October, 2018 after more than twenty years in industry. Emily started her career at the Xerox Research Centre of Canada scaling up new materials and processes from the lab to manufacturing. 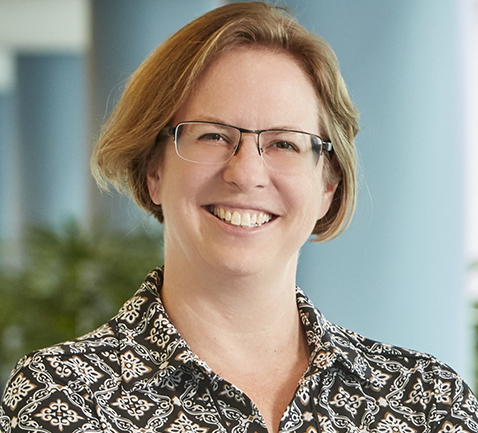 In her 11 years at Xerox, Emily learned a great deal about leading teams and developing new products, becoming a manager and Principal Engineer. Emily then spent 10 years at Hatch, a global engineering firm serving the mining, energy and infrastructure sectors. Emily led international teams to develop new product and service offerings and to deliver major projects, first as the Director of Technology Development and then as Managing Director, Water. Emily was also the inaugural chair of Hatch’s Global Diversity and Inclusion efforts. Emily holds a Bachelor Degree in Engineering Chemistry from Queen’s University and completed a Doctorate in Physical Chemistry from Oxford University as a Rhodes Scholar. In 2016 Emily was recognized as one of 100 Global Inspirational Women in Mining and received the SCI Canada Kalev Pugi Award. Annie oversees ILead’s co-curricular programs and manages the programming team. As a long standing member of the team, Annie has been engaged in the development of many programs and in the establishment of ILead culture. Annie did her Masters degree in Adult Education and Counselling Psychology at OISE and completed the course work portion of her PhD in Education. Annie teaches the course ‘The Power of Story: Discovering Your Leadership Narrative and she supports ILead’s community of Instructors. Before coming to U of T Annie taught in the community college system and also worked as a counselor, conflict mediator and restorative justice facilitator and trainer. Annie is committed to transformative education that engages the whole person. She is inspired to cultivate students’ emotional intelligence, personal integrity, and awareness of social justice issues. She is currently a teacher in training with the Search Inside Yourself Leadership Institute (SIYLI). 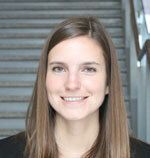 Cindy Rottmann joined ILead in 2012 as a Research Associate on the Engineering Leadership Project. Since then, she has taken the lead on framing three projects—the Engineering Leadership Project II, the Ethics and Equity in Engineering Case Study project, and the Engineering Equity, Diversity and Inclusion Leaders project. She brings extensive research, teaching and curriculum development experience to the team. Cindy has worked on eight federally funded studies and four institutionally funded projects resulting in 25 publications and 45 peer reviewed conference presentations. She has taught math & science to secondary school students, and educational leadership & policy to school administrators. Prior to joining ILead, she was an Assistant Professor of Educational Administration at the University of Manitoba. Thanks to the collaborative efforts of the ILead team, Cindy’s Engineering Leadership Orientations analysis has been integrated into curricular programing and professional development workshops with industry partners. It has also supported our international outreach efforts, marking ILead as an engine of engineering leadership research. Professor Sheridan is an Assistant Professor, Teaching Stream at ILead focusing on integrating teamwork and leadership learning into the engineering curriculum. 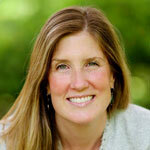 She has previously taught leadership and teamwork courses at Northwestern University, where she is a Leadership Fellow. Prof. Sheridan teaches APS343 Engineering Leadership, and integrates teamwork and leadership education in the first-year engineering design courses and upper-year Mechanical Engineering courses. She is a co-developer of the Team-effectiveness Learning System which is used to support teamwork learning in multiple courses in Engineering, and is in the process of being commercialized as Teamworks Ed. Prof. Sheridan holds a BASc and MASc in Mechanical Engineering, and a PhD in Engineering Leadership Education. She has previously worked on large plant-design teams in industry, and on algorithms to develop co-operative multi-agent systems in robotics. 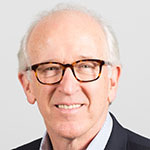 Professor Reeve served as the founding Director of the Troost Institute for Leadership Education in Engineering (Troost ILead) at the University of Toronto (2010-2018). In 2002 he established Leaders of Tomorrow, a student leadership development program in the Department of Chemical Engineering and Applied Chemistry, which led to the establishment of Troost ILead. Before returning to the University, Professor Reeve worked with industry as a consultant and president of a small consulting firm for 15 years, frequently on international assignments. He has created and led professional development short courses on over 50 occasions reaching over 5000 attendees. His contributions to the profession and to research have been recognized by numerous awards. He is Professor in the University of Toronto’s Department of Chemical Engineering & Applied Chemistry and served as Department Chair between 2001–2011. Professor Olechowski is an Assistant Professor at the Institute for Leadership Education in Engineering (ILead) and the Department of Mechanical & Industrial Engineering. She completed her PhD at the Massachusetts Institute of Technology (MIT) studying the tools, models and decisions that teams of engineers use during complex industry projects. She has observed first-hand the importance of leadership skills in designing and delivering innovative new products. Prof. Olechowski completed her BSc (Engineering) at Queen’s University and her MS at MIT, both in Mechanical Engineering. Milan is passionate about using leadership education to empower engineers to tackle complex problems to better their communities. As an undergraduate student leader, he pursued cultural change within the student community as the chair of orientation. He worked closely with the faculty and professional organizations as the president of the Engineering Society to revamp professional development opportunities for students. Milan also has several years of industry experience in the power systems sector in roles as an application engineer and team lead. Milan completed his undergraduate degree in Electrical Engineering at the University of Toronto. In his spare time he enjoys landscape photography, playing music, and spending time in the mountains. Albert is an engineering education and integrative design enthusiast. 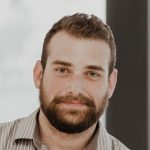 Having completed his undergraduate degree in Chemical Engineering at the University of Toronto in 2013, he is currently a Master of Applied Science candidate in Industrial Engineering at the same institution. Inspired by his belief that true innovation lies at the intersection of traditional domains, his research focus is in engineering education, looking at the overlap of process modelling, psychology, organizational behaviour, human factors, and technical design to address problems in teaching methods and educational design. In his spare time, Albert enjoys rock climbing, meditating, playing guitar and keeping up with Toronto’s entrepreneurial scene. Jordan has a passion for leadership development grounded in significant experience within a wide range of sectors and organizations. 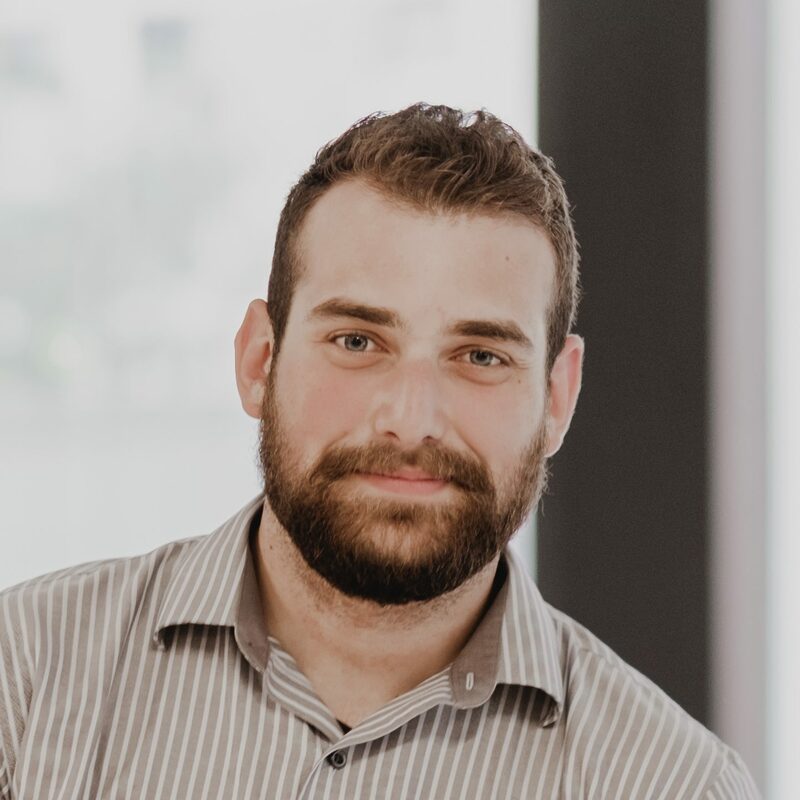 A graduate in Mechanical Engineering from the University of Ottawa in 2009, Jordan has since worked as an Engineer and Engineering Sales Manager in the manufacturing industry; applying engineering problem solving, relationship building, and leadership skills across several companies. Jordan also spent a year as an African Programs Staff with EWB Canada working on sustainable service delivery issues within the Water & Sanitation sector in Malawi. He is the Board President of Culture Shock Canada, an urban dance based national non-profit focused on dance education, professional entertainment, and community enrichment programs, and has been teaching urban dance for over 10 years. Teresa is responsible for supporting a student-led leadership group, and developing a PhD professional skills program and corporate training program. With experience in Life Skills Coaching and leadership development, she strives to empower students to uncover their leadership potential. She is committed to building community and injecting fun to create meaningful learning experiences for a diverse student population. 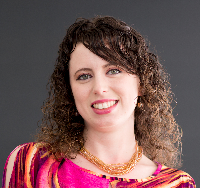 Teresa holds an HBSc and MSc from U of T, and Life Skills Coaching Certification from George Brown College. Serhiy has a passion for citizenship education, including leadership education and development, across all educational levels. He has been researching the socialization of students for democratic, multicultural, and global citizenship in the USA, England, Ukraine, and Canada. He has taught leadership workshops to university students and conducted research on educational leaders in Ukraine. He has strong qualitative and quantitative research and curriculum development skills. Serhiy obtained his undergraduate and graduate degrees in the field of education from Volyn National University (Ukraine), Eastern Michigan University (USA), and Ontario Institute for Studies in Education, University of Toronto (Canada). Qin joined ILead with a wealth of knowledge on quality and quality assurance issues in postsecondary education and the learning outcomes approach in postsecondary settings. She is well versed in qualitative and quantitative research methods and experienced in conducting institutional research, program evaluation, impact analysis, and learning outcomes assessment. 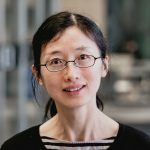 Qin had research and teaching experiences in Canada and China. She earned her Ph.D. in Higher Education from the Ontario Institute for Studies in Education, University of Toronto and her Master’s degrees from the University of British Columbia (Vancouver) and Tianjin Normal University (Tianjin, China). Haig is founder, President and Senior Consultant at eFuel Partners Inc. He has over 25 years of experience in the eLearning, eHealth, telecom and information technology fields. He has held leadership positions in corporate strategy, marketing, R&D, sales engineering, systems integration and software development with Bell Canada. For the past thirteen years, as a management consultant, project leader and innovation instigator, he has led a range of eFuel consulting engagements. He has worked in the private, public, educational as well as charitable sectors. Haig is the co-author of the textbook, Leadership in Project Management: Leading People and Projects to Success. Haig holds a PhD in Industrial Engineering from the University of Toronto. He also holds the MEd Degree from OISE (focusing on adult education and eLearning) and Degrees in engineering from the University of Waterloo and McGill University. Danny Cushing is an executive coach and leadership instructor with over 10 years experience in coaching and teaching leadership development courses to senior global managers from a diverse range of business and non-business sectors across all professional functional areas. Danny’s teaching and coaching has focused on developing the emotional and social intelligence of managers so that they can be more effective in leading high-performing cross-cultural teams. Danny is the past Director of Leadership Development, Executive MBA Programs at the Rotman School of Management, University of Toronto. He has taught leadership and management courses in the Omnium Global EMBA and in the Toronto-based EMBA program at the Rotman School. Danny is currently Senior Executive Coach and Talent Manager at Executive Core, a U.S. global talent management firm. Danny holds a BA from Trent University and he is a graduate of the Executive MBA Program at the Rotman School. Nick Evans is a leadership coach and facilitator with over 15 years of experience as a business leader in Fortune 500 organizations. As a business leader, he understands how to link business vision and strategy with personal engagement and growth. Nick combines his experience in business strategy, change management, team building, and organizational dynamics, to design high performance leadership programs. Nick has an MBA from the Ivey School of Business and a BA in Economics and Political Science from the University of Toronto. He trained as a coach with Corporate Coach U, is a certified practitioner of multiple coaching and assessment tools and holds the Professional Certified Coach designation from the International Coach Federation. Mark Franklin (MEd, PEng, CMF) is practice leader of CareerCycles, a career management social enterprise based in Toronto. Mark and a team of Associates have enriched the career wellbeing of 3500+ clients of all ages and stages across Canada by helping individuals make satisfying career and educational choices. 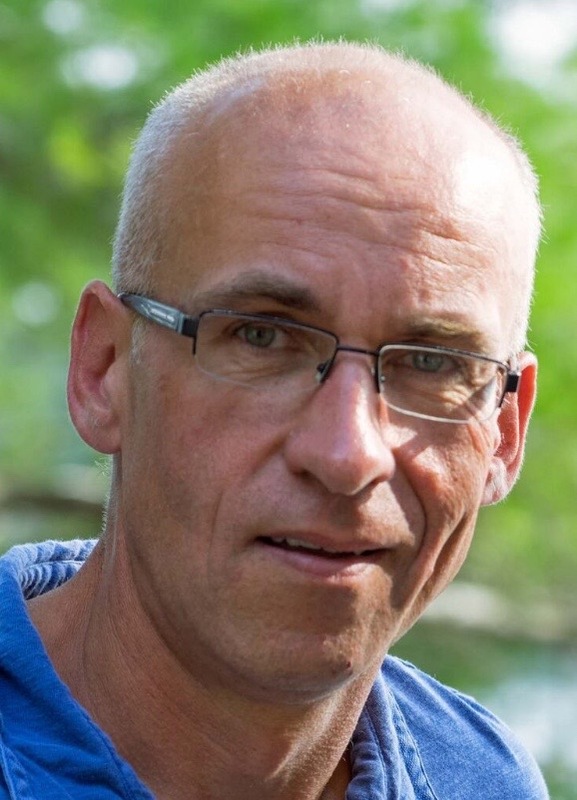 Mark holds a Bachelor of Applied Science in Industrial Engineering, a Master of Education in Counselling Psychology, and the Career Management Fellow designation through Institute of Career Certification International. Mark’s career management insights have appeared in The Globe and Mail, National Post and other media, he’s authored a book chapter and peer-reviewed journal articles, and he regularly speaks to groups at national and international conferences. Mark produces and hosts the Career Buzz radio show, where he’s interviewed hundreds of guests about insights and turning points in their career stories. Dr. Penny Kinnear completed her PhD in Second Language Education and Comparative and International Development Education in 2004 at the Ontario Institute for Studies in Education. Her doctoral research used narrative as a data collection method allowing her to develop a deeper understanding of the narrative impulses and practices we all share. She is the co-author of Sociocultural Theory in Second Language Education: An Introduction through Narratives. Since 2009 she has taught in the the Engineering Communication Program with a focus on multilingual students and professional language development. In 2014 she collaborated with Annie Simpson and ILead to design and teach the course, The Power of Story: Discovering Your Leadership Narrative. Her current research interests include how students make meaning in team contexts, professional identity development and the impact of multilingualism and translingualism on the ecology of university classrooms. Minha R. Ha is a PhD Candidate in the Department of Mechanical Engineering, Lassonde School of Engineering. She has a multidisciplinary background in the sciences and education research, and is conducting research on the socio-technical knowledge integration in engineering design. Her work experience in student leadership, faculty development, and engineering ethics education has led her to seek ways to empower young people in engineering – to bring their whole selves to the work they do, to see themselves meaningfully connected to the work and culture of engineering as the leaders of their future profession. Her recent research work has highlighted the role of dominant narratives and gendered experiences of the school culture. 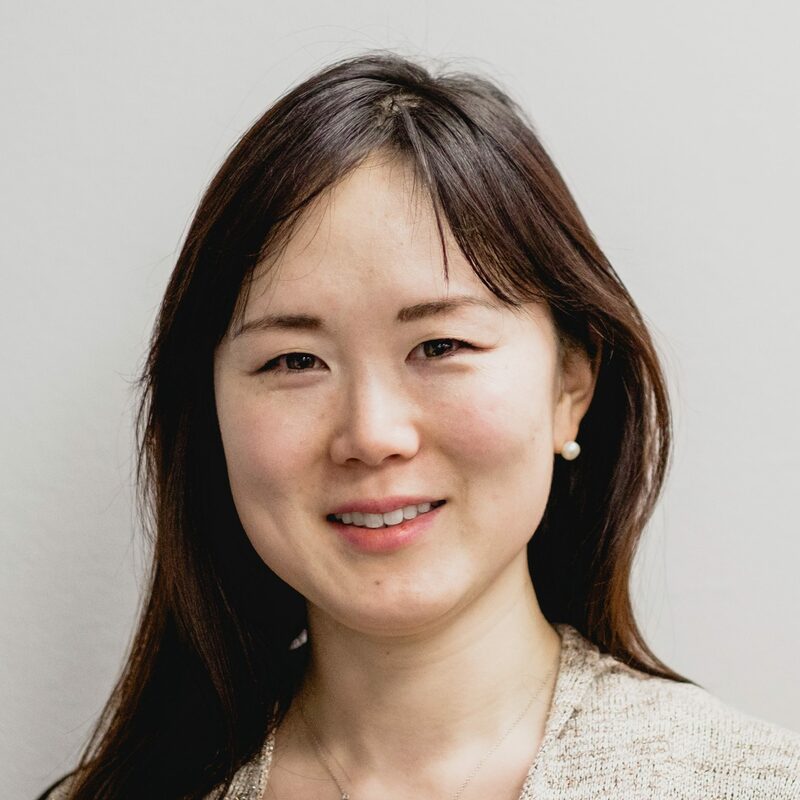 She enjoys leading workshops in the Let’s Talk Science events, mentoring youth in the Korean Canadian community, and teaching undergraduate students to think critically and creatively about technology’s impact on society. Dr. Robin Sacks joined ILead to develop curricular and co-curricular leadership education for the Faculty. She received a Masters Degree in Applied Cognitive Science and her PhD in Human Development and Applied Psychology from U of T’s Ontario Institute for Studies in Education. Robin’s interest in leadership education grew from her own experiences as a young student leader on campus. She is the founder of Peace by PEACE Canada—a student-run not-for-profit organization that teaches conflict resolution, self esteem, and community building skills to primary school students. Robin teaches engineering leadership courses at the undergraduate (APS442, APS444) and graduate (APS1010, APS1026) level. Mike is Co-founder and Chief Operating Officer for Pursuit Development Labs Inc. He has over 18 years of supporting individuals, teams and organizations on their meaningful, strategic & transformational journeys. He joined Pursuit at its founding, after a career in marketing and business development in Pharma, Food Manufacturing and Retail Promotion in Canada and the US. Mike helps organizations, teams and individuals get clear on their meaningful cause that is unique to them, and then supports them in seeing their collective work & path that they can orchestrate & lead with integrity & authenticity. From this foundation, Mike helps them embrace their innate resourcefulness so they have the confidence & belief to commit to their own journeys, while helping them avoid the distractions that would undermine their efforts. Mike received his Honours Bachelor of Commerce degree from Queen’s University.